Bayer Leverkusen attacker Paulinho has said he will look to Juventus and Portugal star Cristiano Ronaldo for inspiration in his bid to take the Bundesliga by storm. 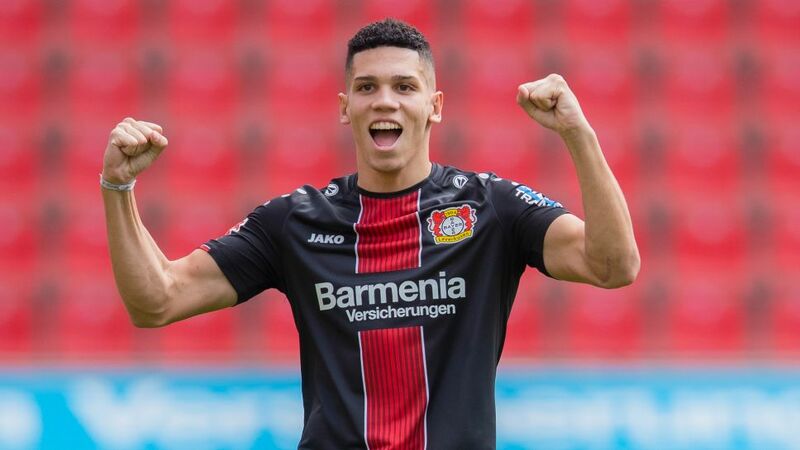 The pacy Brazilian was unveiled as a Leverkusen player on Thursday, just four days after officially joining Die Werkself following his 18th birthday. Paulinho will wear the number seven jersey at his new club, the same number that reigning Ballon d’Or winner Ronaldo wore throughout his brilliant career thus far with clubs like Manchester United and Real Madrid. “I’m reluctant to talk about role models but rather a player you can emulate - that you can watch and whose development you want to take from,” Paulinho said at a press conference. Leverkusen have a long history of developing Brazilian talent, with the likes of Emerson, Lucio, Ze Roberto and Renato Augusto having all played for the club in the past. Left-back Wendell is currently on their books, and Brazil under-20 international Paulinho – who can play on either wing or through the middle – is keen to prove that he, too, has what it takes to thrive in Germany. “The biggest difference compared to Brazil is perhaps the intensity – in training and also during matches,” he explained. The former Vasco da Gama player revealed that his aims are to settle in quickly, to work hard on his own game and to win titles with Leverkusen. But he also accepted that he is not yet the finished article. Paulinho will hope to find his rhythm during the five friendly matches Leverkusen have left before their Bundesliga campaign gets underway with a trip to Borussia Mönchengladbach on 25 August.